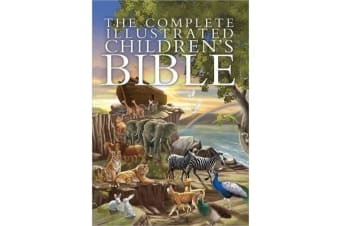 Lead your child into a lifetime love of the Bible with this colorful storybook. With nearly 300 beautiful two-page illustrations to capture even the youngest child’s imagination and heart, this vast collection of the Bible’s most-loved stories is just right for sharing together or reading alone throughout the day. The Complete Illustrated Children’s Bible is the perfect picture and storybook for young ones and an ideal first reader your children will treasure.